You know, Ray, There is not a single new thought in Purpose Driven Life that hadn’t been said for 2,000 years. I’ve just said it in a fresh way. I said it in a simple way. When I was writing Purpose Drive Life it took me 7 months, 12 hours a day. I’d get up at 4:30 in the morning. I’d go to a little study. Start at 5 a.m. I was fasting til noon and I would light some candles and I would start writing and rewrite, rewrite, rewrite. One of the things I did before I wrote the book was, um, I’d ask the question—How do you write a book that lasts 500 years? For instance, um, Imitation of Christ by Thomas Kempis, Practicing the Presence of God by Brother Lawrence. Ok? 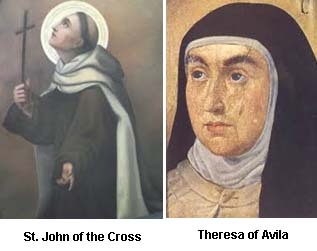 The Dessert Fathers, St. John of the Cross, Teresa of Avila. All of these great, classic devotional works. Any one of them—I just realized that in order to be timeless you have to be eternal. The authors and the books mentioned by Warren are more than revealing. They clearly show where his theology is founded. 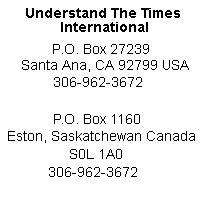 To suggest these books are eternal and to place them in the same category as the Bible is blasphemous. Thomas Kempis, Brother Lawrence, St. John of the Cross, Theresa of Avilla are all Roman Catholic mystics. The Bible is the inspired word of God. As Paul stated: “All scripture is given by inspiration of God, and is profitable for doctrine, for reproof, for correction, for instruction in righteousness. While the Bible is timeless and eternal, the books written by Roman Catholic mystics are the works of humans who are fallible and easily misled by the fallen spiritual dimension. They can promote doctrines of demons and lead Bible-believers away from the faith. 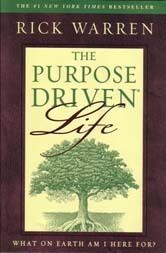 The Purpose Driven Life may be popular but there are many reasons to be skeptical it is inspired. Just because someone fasts daily until noon, confines oneself into a cubicle or writes under the light of candles does not make a book timeless and eternal. Warren’s answer to Arroyo’s question is questionable at best. Yeah, right. Well, the main thing is love always reaches people. Authenticity, humility. Pope Francis is the perfect example of this. He is a—He is doing everything right. You see, people will listen to what we say if they like what they see. And as our new pope he was very, very symbolic in, you know, his first mass with people with AIDS, uh, his kissing of the deformed man, his loving the children. This authenticity, this humility, the caring for the poor, this is what the whole world expects us Christians to do. And when we—when they go, oh, that’s what a Christian does—In fact there was a headline here in Orange County—and I love the headline. It said, if you love Pope Francis, you’ll love Jesus. That was the headline! I showed it to a group of priests I was speaking to a while back. While loving others is a quality all Christians should embrace and promote, using Pope Francis as the perfect example, seems somewhat opportunistic. The fact that he calls Pope Francis “our new pope” indicates that he has accepted the pope as the head of the Catholic Church and the church that he himself leads. If that is not the case, why would have he used the word “our”. So here’s my question: What part of the reformation that separated the “separated brethren” from Rome does Rick Warren not understand? 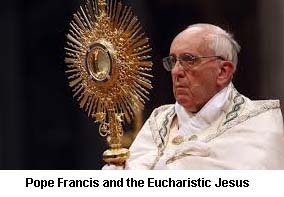 Has he now publically declared that the Purpose Driven way is an ecumenical way on the road to Rome?